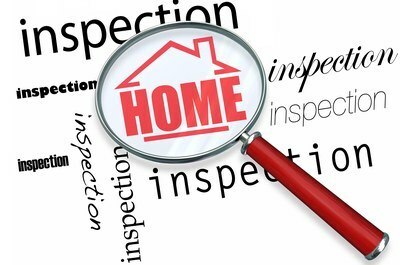 It is estimated that about 80% of home buyers have their homes inspected prior to the close of escrow. While this is good practice and a necessary part of purchasing a home, it begs the question, how do you select a competent and trustworthy home inspector? After all, you are requesting a professional opinion to help you complete what is arguably going to be the biggest investment of your life. It is likely that your real estate professional can give you a competent referral, but what are some other ways you can be assured that your home inspector has sufficient training and credentials for the job? The National Institute of Building Inspectors (NIBI) is a leading home inspection training organization that offers a few pointers for prospective home buyers. Ask to see the inspector’s certification. This should be a certification by a reputable Training Institute which also requires continuing education and annual retesting. Your inspector should also be adequately insured, including general liability, workers compensation, and errors and omissions insurance. The NIBI requires all of its certified members to carry these types of insurance. This helps to ensure coverage in the event of any mishap. The National Association of Home Inspectors may also be able to verify credentials for you. Obtain a guarantee in writing. After the physical inspection your inspector should be willing to give you a written guarantee that will substantiate his or her findings. Be aware that a home inspector should not also be a contractor or in another business that repairs or builds homes. This will avoid any potential conflict of interest on the part of an inspector who finds some defect and then offers to have his company correct it for you. The only interest your home inspector should have is in making certain that you have an accurate and honest assessment of the condition of your home. If the home inspector you select has had no formal training and has no professional affiliations, considerate it a red flag. A trained and competent expect or will have no problem providing you with copies of their certification and proof of insurance coverage, as well as a written estimate and guarantee of the work. Protect your important investment by choosing professionals that you can trust and verify.